I call John Leguizamo! Who wants to be Bob Hoskins? Before they were the basis of hip soaps or remade as even hipper clocks, Nintendo’s cartridge games were a source of delight and vexation for millions of people. 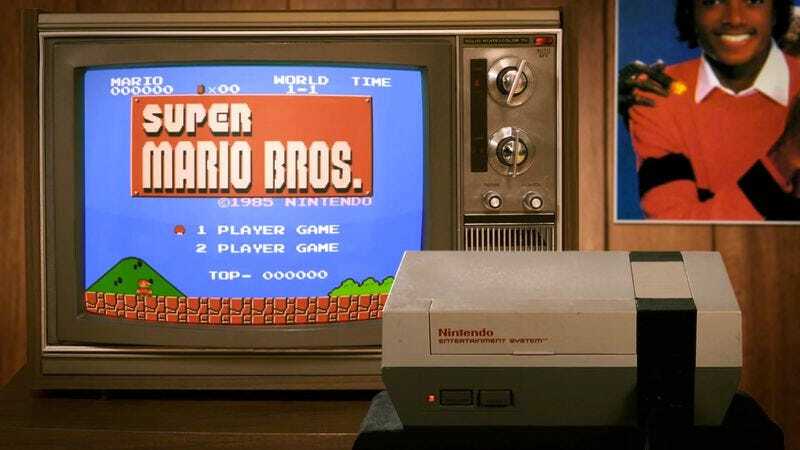 From the NES up to Nintendo 64, gamers enjoyed their 8- to 64-bit adventures by plugging those game paks into their consoles and then enjoying whatever fresh madness had been cooked up by Japanese designers. Occasionally, people would turn on their systems to find not the comforting neons of Bubble Bobble but instead a pixellated mess (well, moreso). Using a pre-Internet collective unconscious, gamers somehow knew that, in order to fix it, they had to pull out their cartridges, blow on the game a bit, and slam it back in. Except…well, that’s not true. It’s been widely discredited that blowing into the cartridge had any real effect, but then why did people keep doing it? In the latest installment of It’s Okay To Be Smart, host Joe Hanson looked at the cognitive biases that lead people to ascribe various victories and failures to actions that, really, had no bearing on the outcome at all. So when fondly looking back at all of those hours spent trying to revive a BattleToads cartridge, realize it was completely unnecessary and just an expression of people’s stupid stupid brains.